World Blood Donor Day is celebrated every year by the people in many countries around the world on 14th of June. 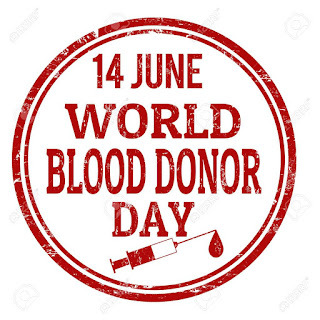 World Blood Donor Day is celebrated every year on the day of birthday anniversary of Karl Landsteiner on 14th of June in 1868. This event celebration was first started in the year 2004 aiming to raise the public awareness about the need for safe blood donation (including its products) voluntarily and unpaid by the healthy person. Blood donors are the key role player at this day as they donate life-saving gifts of blood to the needed person. The concept of ‘Human Library’ is about to make its way to Delhi on June 18 which will allow readers to borrow real people and learn from their life experiences over a 30-minute meaningful conversation. This unique concept allows you to borrow a ‘human book’, ask any number of questions to that would help dispel misconceptions, provide more information and provide participants with better knowledge of a subject or idea. Anybody can be a book, as long as they have interesting experiences and stories to share. 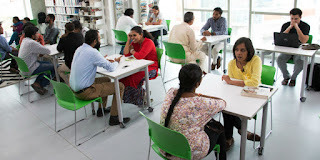 Delhi will be the fourth city to host the human library community in India after Indore, Hyderabad and Mumbai.The first Human Library event in India was held at Indore in 2016 at the IIM Indore campus. The Centre set up an expert committee to examine the rules which allow free movement of Indian and Myanmarese citizens within 16 kms of the border, but are exploited by militants for smuggling arms, drugs, and fake Indian currency. The decision was taken at a meeting of chief ministers of the northeastern states which share a porous border with Myanmar. 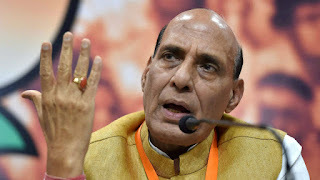 Home Minister Rajnath Singh decided to constitute the committee, headed by the special secretary (Internal Security) in the Ministry of Home Affairs, which will examine the rules and regulations adopted by the border states for free movement of the people, an official release said. The committee will give its report for uniform and effective implementation of free movement regime within three months, it said. India's 1,643-km border with Myanmar touches four states: Arunachal Pradesh, Nagaland, Manipur and Mizoram. The Indian Railways is planning to induct about 40,000 coaches with improved interiors and upgraded facilities at an estimated cost of Rs 8,000 crore to provide world-class comfort to passengers. 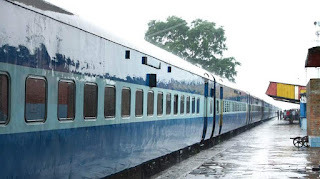 According to the plan, coaches will be retrofitted with refurbished interiors, improved seating arrangement and newly designed bio-toilets among other facilities. The retrofitting would cost about Rs 30 lakh per coach. The target is to complete the process of refurbishing of coaches with improved interiors and 2023 in the next five years. Railways is also focusing on the safety front by equipping all conventional coaches with centre buffler couplers (CBC), a strong coupler system. The CBC system prevents coaches from capsizing. 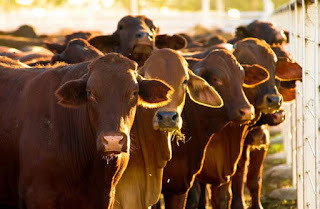 Farmers in the state will be able to sell and purchase cattle online. The state government on Monday launched a website to facilitate this service. The online sale or purchase of cattle through pashubazar.telangana.gov.in website will help farmers as the cattle need not be brought to shandies every time and farmers can save on transportation cost on cattle. Animal Husbandry assistant director V Jagannatha Chary said the website was intended for sale or purchase of cattle among farmers. He said that the new cattle rules issued by the Central government were under study and the rules would be applicable to online sale too. Farmer can keep maximum five registrations for sale at any time. 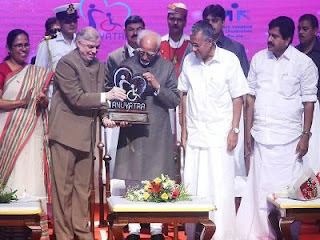 The innovative initiative is aimed at transforming the state to a disabled-friendly one and empower differently-abled children by bringing them to the forefront of the mainstream society. The MPower programme managed by the Kerala Social Security Mission (KSSM) under the social justice department is being implemented in collaboration with the Magic Academy. Over 8 lakh children in India between the age group 5 and 6 years are engaged in child labour. A large percentage, over 5 lakh of these children do not attend school. Majority of these kids are engaged in family based employments, states a CRY report. According to the report, Uttar Pradesh has the highest number of 2,50,672 children engaged in labour, followed by Bihar with 1,28,087 children and Maharashtra where the number stands at 82,847. 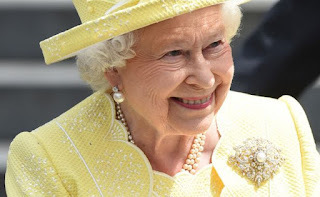 Two Indian-origin men are among 900 Australians who have been recognised by British Queen Elizabeth II in her annual Birthday Honours list for their contributions to the community. Unnikrishnan Velayudhan Pilla from Queensland was awarded the medal of the Order of Australia in the general division (OAM) for service to the Malayalee community in the state. 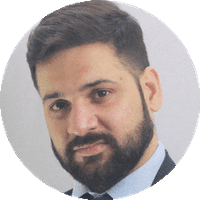 The list for this year released yesterday recognised a diverse range of people including scientists, entertainers, lawyers, designers, community workers, performers and a psephologist. 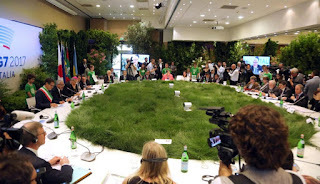 G7 Environment Ministers geared up for a gathering in the Italian city of Bologna where they face the challenges of defending and implementing the Paris climate accord following withdrawal from the pact by the US. 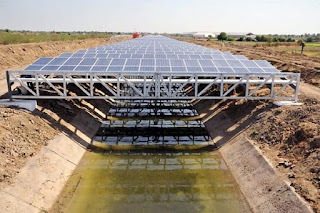 The two-day Environment Ministerial Meeting of the G7 sew participants from the seven nations seeking to clarify what US President Donald Trump intended to do in order to curb climate change, in light of his decision. Technology giant Google has topped the 2017 BrandZ Top 100 Most Valuable Global Brands list, with a brand value of over $245 billion. Further, US tech giants Apple, Microsoft, and Facebook were also among the five most valuable brands. Notably, Amazon rose three places after achieving the highest dollar value growth, increasing by $40.3 billion to $139.3 billion. In a major blow to Taiwan, Panama today broke off diplomatic ties with it and established relations with China as cash-rich Beijing exerted its economic clout to wean away handful of allies of Taipei. Regarded as a diplomatic coup for Beijing, China and Panama signed a joint communique here formally establishing diplomatic relations. 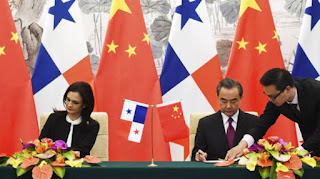 Chinese Foreign Minister Wang Yi held a meeting with Isabel Saint Malo de Alvarado, Panama's vice president and foreign minister, signed the joint communique in which Panama has recognised One China, meaning that Taiwan is part of the Chinese mainland. 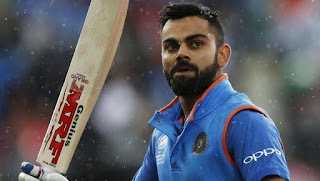 India captain Virat Kohli today reclaimed the top spot in the latest ICC ODI rankings for batsmen following the conclusion of the last round of league matches in the Champions Trophy. Kohli had entered the tournament 22 points behind number-one ranked AB de Villiers of South Africa, who had been No.1 since 25 February this year, and 19 points behind Australia's David Warner. Indian opener Shikhar Dhawan secured a position in the top 10. Unseeded Jelena Ostapenko of Latvia beat Simona Halep 4-6, 6-4, 6-3 at Roland Garros on Sunday to win the 2017 French Open Women’s Singles crown and her first ever Grand Slam title. Ostapenko, 20, is the first unseeded woman to win the French Open since Britain's Margaret Scriven in 1933. Pune girl Divya Dhayal won the bronze medal at the Archery World Cup, held at Antalya, Turkey from June 6 to June 11. In the compound mixed team event, the Indian team, comprising Divya Dhayal and Abhishek Verma, defeated Italy 154-153 in a nail biting match to win the bronze. Indian compound men and compound women teams had also reached semifinals, but both the teams stood fourth and missed the medal. However, the mixed team saved the day for the Indian contingent by winning the match. Dhayal, being one of the youngest player at 15 years, stole the show by keeping her cool under pressure and shooting perfect shots. Jupiter is the oldest planet in the solar system, according to research published in the journal Proceedings of the National Academy of Sciences (PNAS). Scientists led by Thomas S. Kruijer of the University of Münster, in Germany, measured concentrations of molybdenum and tungsten isotopes derived from iron meteorites to model the age of the system’s largest planet. There are two distinct groups of iron meteorites, the researchers suggest, which arose separately within the nebula cloud from which the solar system eventually coalesced. They represent, they write, “two genetically distinct nebular reservoirs that coexisted and remained spatially separated” during the first few million years of the solar system’s formation. 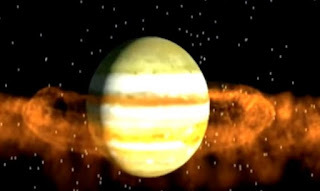 The most plausible explanation for their separation, Kruijer and colleagues suggest, is the formation of Jupiter in between them. Jupiter is a type of planet known as a gas giant. Its likely formation involved first the accretion of a solid core, followed by the accumulation of thick layers of gases surrounding it. 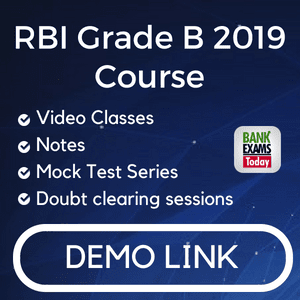 The Reserve Bank of India (RBI) on Tuesday said it is launching a new batch of Rs 500 notes. In continuation of issuing of Rs 500 denomination banknotes in Mahatma Gandhi (new) series from time to time which are currently legal tender, a new batch of banknotes with inset letter "A" in both the number panels, bearing the signature of Dr. Urjit R. Patel Governor, Reserve Bank of India; with the year of printing '2017' on the reverse, are being issued,"
The new series earlier released and currently in circulation has the inset letter "E". They will continue to be valid. 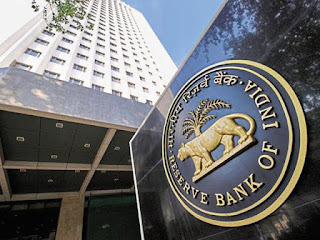 The Reserve Bank of India (RBI) said 12 accounts representing about 25% of the gross bad loans in the banking system would be eligible for immediate reference for bankruptcy proceedings. 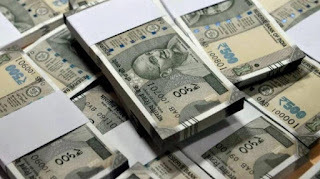 An internal panel of the central bank has suggested that accounts with outstanding amounts of more than Rs5,000 crore, of which at least 60% was classified as non-performing by banks as of 31 March 2016, can be referred for bankruptcy proceedings. For accounts that don’t meet the criterion set by the advisory panel, the IAC suggested that banks should finalize a resolution plan within six months. In cases where a viable plan is not agreed within six months, banks have to file for insolvency proceedings, the RBI statement said. 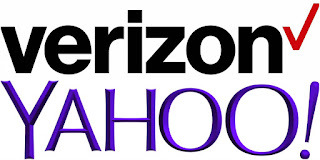 Verizon completed its acquisition of Yahoo in a deal worth $4.48 billion (nearly ₹29,000 crore). Following this, Yahoo CEO Marissa Mayer has resigned and Yahoo Internet operations will be now integrated into a new unit called Oath, which also includes brands like AOL and Huffington Post. The new unit will be overseen by former AOL CEO Tim Armstrong. 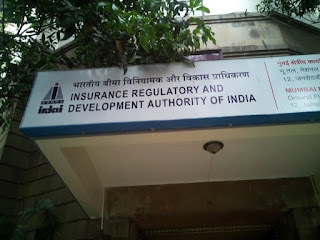 Insurance Regulatory and Development Authority of India (IRDA) appointed an administrator to manage Sahara India Life Insurance Company, saying Subrata Roy-run insurer was “acting in manner” prejudicial to interest of subscribers. The regulator has asked the directors, management, and staff of the insurer to extend all possible assistance and cooperation to the administrator to manage the affairs of Sahara Life Insurance Company. 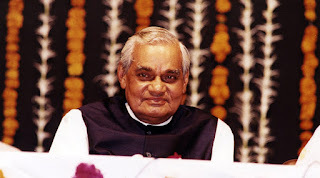 Former Uttarakhand chief minister Pokhriyal, who credited Vajpayee for his debut in politics, authored a 450-page book titled -‘Yug Purush, Bharat Ratna, Atal Ji’ – which will be officially unveiled soon.